JUNEAU— Today, the Alaska House of Representatives unanimously passed House Concurrent Resolution 7 proclaiming April as Child Abuse Prevention Month. 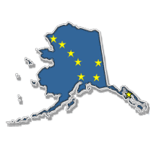 Child abuse is at epidemic levels in Alaska, which currently ranks among the top 5 states for the rate of child abuse. 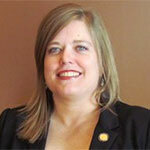 HCR 7 is sponsored by Representative Geran Tarr (D-Anchorage). JUNEAU – Today, Representative Harriet Drummond (D-Anchorage), Representative Beth Kerttula (D-Juneau) and Representative Geran Tarr (D-Anchorage) pre-filed legislation to expand Denali KidCare, the state’s popular health care program for low-income children and pregnant women, to roughly 1500 more Alaskan women and children. 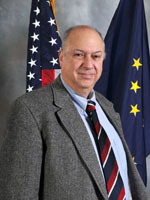 Today, Rep. Max Gruenberg (D-Anchorage) introduced legislation that will help save infants’ lives. The legislation (HB184) will require that all infants born in health care facilities be screened for critical congenital heart defects. JUNEAU – Today, Representative David Guttenberg (D- Fairbanks) introduced legislation to make sure Alaskans who want to buy health insurance for their children have the opportunity to do so in Alaska. The bill (HB 326) would require insurance companies operating in Alaska to offer child-only health insurance plans. Currently, no health insurance company in the state accepts applications for individual policies for children. JUNEAU – Today the Alaska Senate unanimously passed a bill that would protect student athletes from serious brain injuries resulting from multiple concussions. JUNEAU – Today the Alaska House of Representatives unanimously passed a bill that would protect student athletes from serious brain injuries resulting from multiple concussions. Rep. Petersen discusses the benefits of insurance coverage for autistic children.